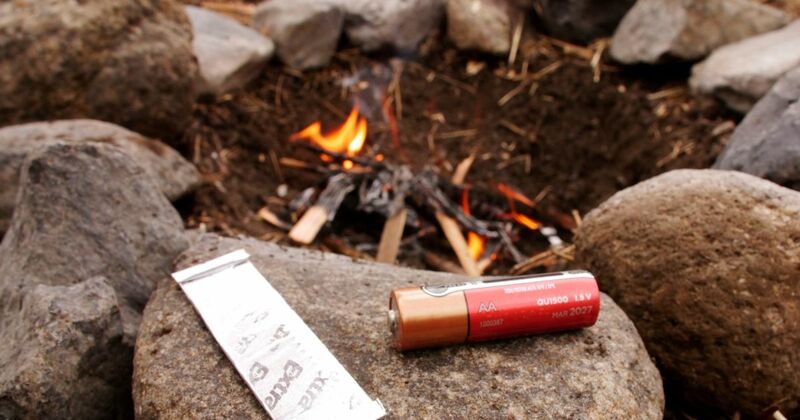 Forgetting to put matches in a waterproof box or bag is a common mistake novice campers make, as well as not packing enough matches. 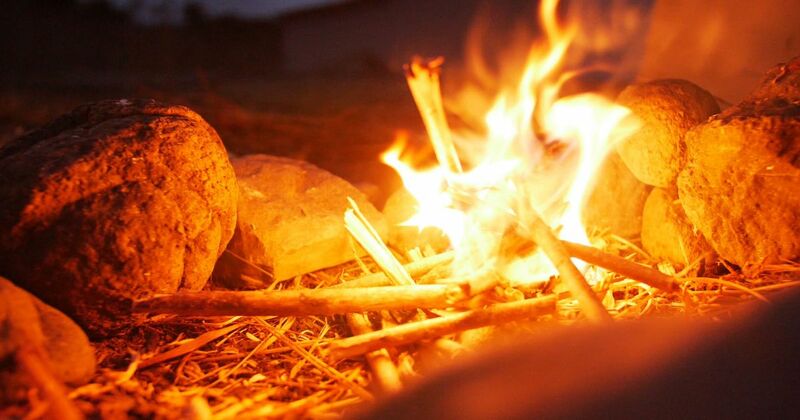 If you are facing making s'mores without a campfire, these ideas for starting a fire without matches will warm you up. Many of these tips are not instantaneous. They take time and patience to work, so make sure you are in a safe place, comfortable and as warm as you can get before beginning. 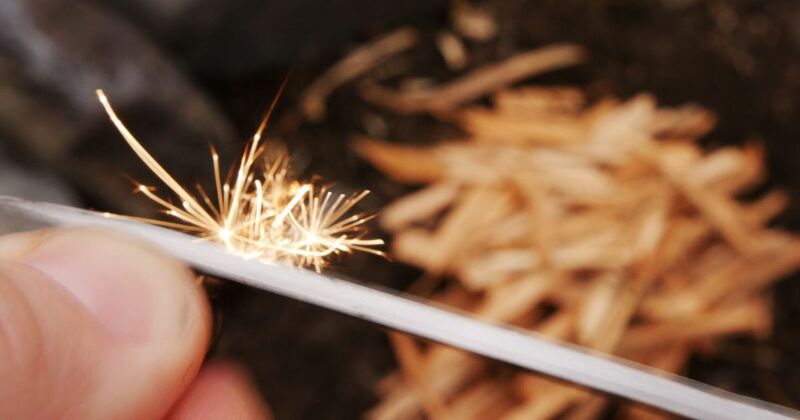 When sparks fly, they can catch on nearby flammable objects and ignite. 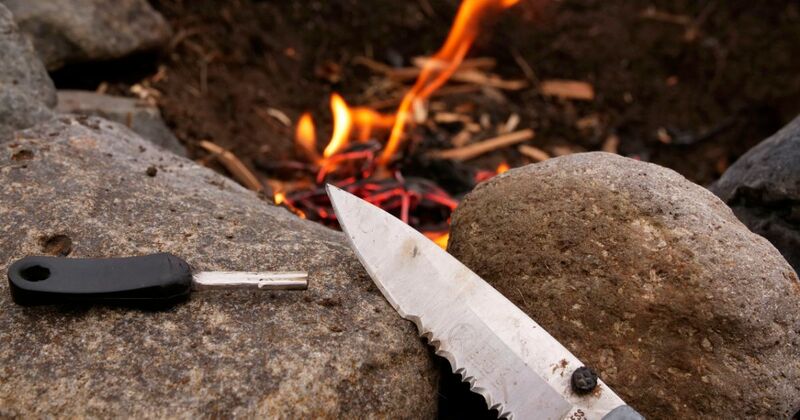 Stores that carry camping equipment also should carry portable flint. When you strike a steel blade against the flint, make sure the blade points downward and you strike away from yourself. The tutorial below shows what material to use that will ignite the fastest and how close you need to be for the sparks to catch. If you're near a stream or creek and have a leftover sandwich bag, you're in luck. 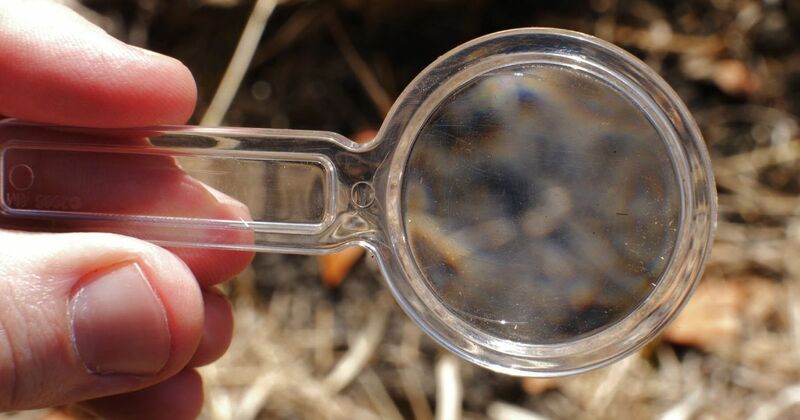 A sandwich bag filled with water provides a similar effect to the well-known magnifying-glass trick of starting a fire. Twist the empty part of the bag so you have a firm ball of water. Find a focal point for the sun and wait. If you threw a party at your campsite but used the last of the matches on the birthday cake candles, don't fret. Untie a latex balloon and let the air out. Fill the balloon with water and tie it off. Like with the sandwich bag, find a ray of sun and direct it toward flammable kindling. Hopefully, you brought at least one sturdy flashlight with you for those late-night trips to the bathroom. You can use a component of the flashlight to direct a ray of sun. You might think this is another tip using a lens, but the tutorial below demonstrates how to take apart the flashlight and use the part that surrounds the bulb to concentrate the sun's rays. It acts as a funnel directing the sun to dry grass. 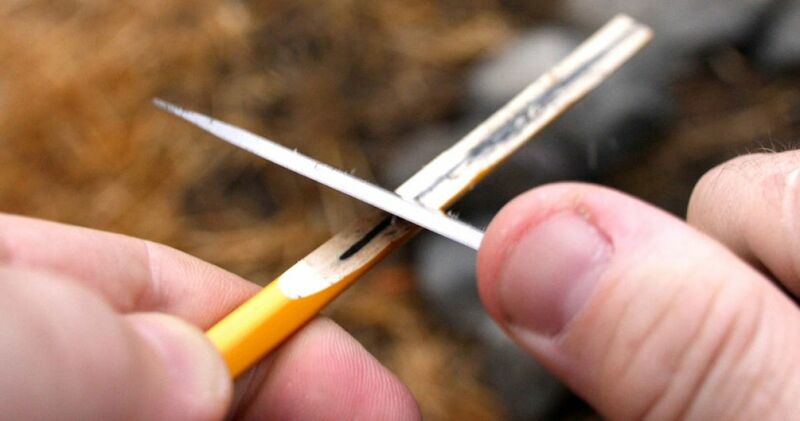 It's possible that if you don't have a pencil in your camping supplies, you might have one in the glovebox of your car. The lead and the car itself work to conduct electricity from the car battery. Working with electricity can be extremely dangerous, especially with the juice that comes from a car battery. The video below shows you how to safely use pencil lead as a conductor for the battery via jumper cables. 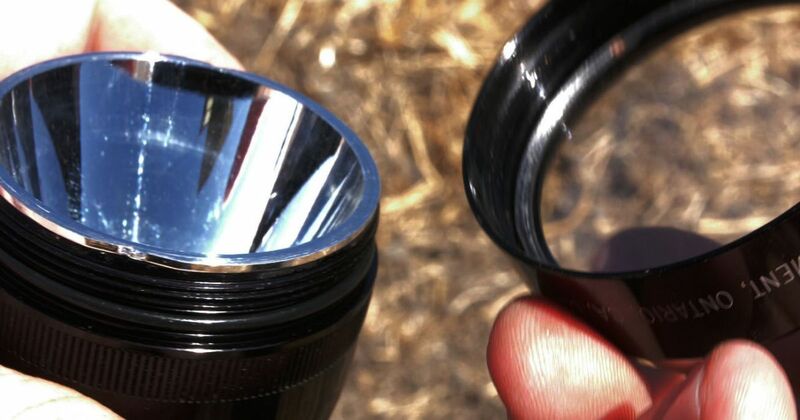 It's not unlikely to have a magnifying glass handy, especially if you are camping with kids who want to take a closer look at bugs. 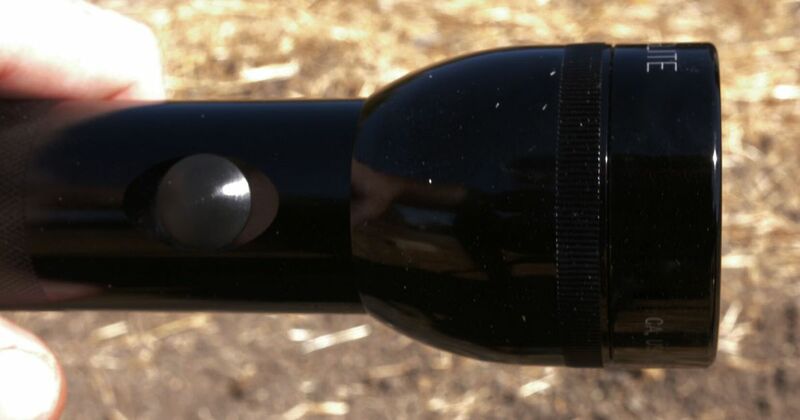 For adults, it can become another tool to direct the sun. Like with the flashlight, sandwich bag and balloon, it's all about focusing the sun's rays. 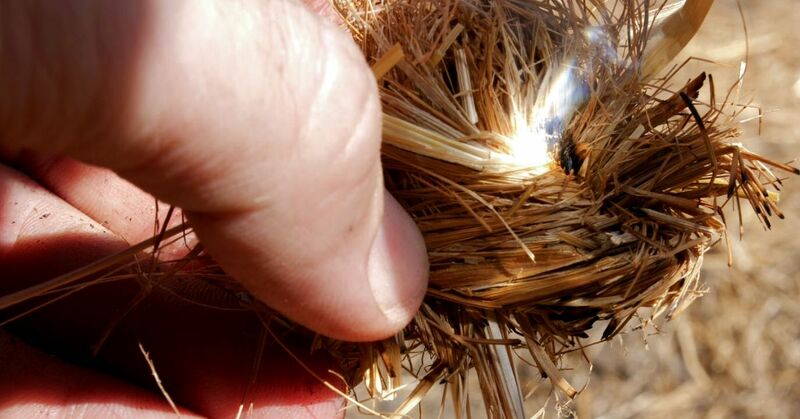 The video below shows what you need to do to turn that small flame into a bigger one sufficient enough to catch on wood. If you didn't pack extra batteries, you can dismantle whatever noisy toy your kid brought along. Like with the pencil lead, electricity is the source of the spark in this tip. 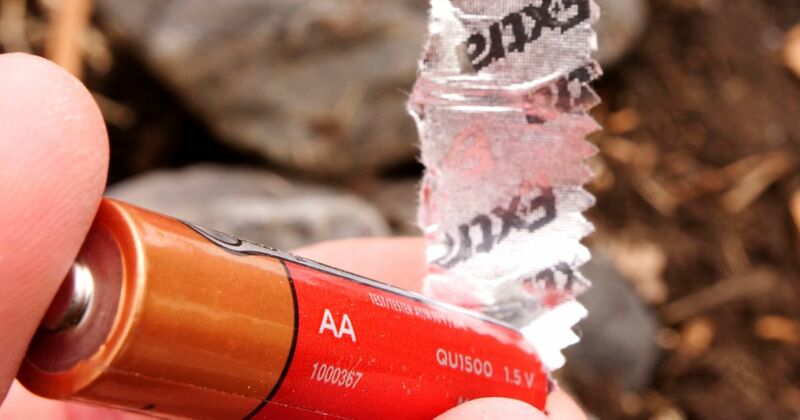 Gum wrapper foil is the conduit for the positive to negative flow of electricity from the battery. If you have leather gloves, it's best to wear them when connecting positive to negative as the foil catches fire quickly. The video show you how to fold the wrapper so it works correctly as the conductor.